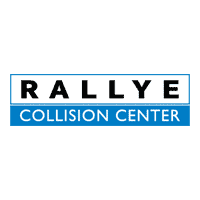 Since 1958, Rallye Collision Center has been the No. 1 place to go for collision repair on Long Island. We specialize in luxury vehicles such as Acura, BMW, Mercedes-Benz, and Lexus, although, we can fix just about any dent, scratch, or bodywork on any make and model. If you’re in an accident and you need quick and expert collision repair, make sure to give us a try. Here are just a few more reasons that you should give us your business. When you bring your vehicle to less reputable collision centers, you’re taking a big chance on their level of expertise. Although they might know what they’re doing, they probably don’t have the certifications to back it up. At Rallye, all of our technicians undergo rigorous training, and many have years of experience. To put your mind at ease, we also went the extra mile by securing certifications from manufacturers themselves. We currently hold three major certifications, including recognition as a Mercedes-Benz Certified Collision Facility, a BMW Certified Collision Repair Facility, and an Elite Certification Aluminum Structural Repair Facility. With these certifications, you’ll never have to worry about receiving subpar work that’s not up to your expectations.